What the Oak??? – FORTY OAKS TREE SERVICE LTD. Your most pressing tree queries answered to the best of our ability….. Location of the tree. Structures such as houses or outbuildings and sprinklers and irrigation, septic systems/fields, mature gardens and landscape/lawns, etc. will all make the removal trickier and therefore take longer. Condition of the tree. 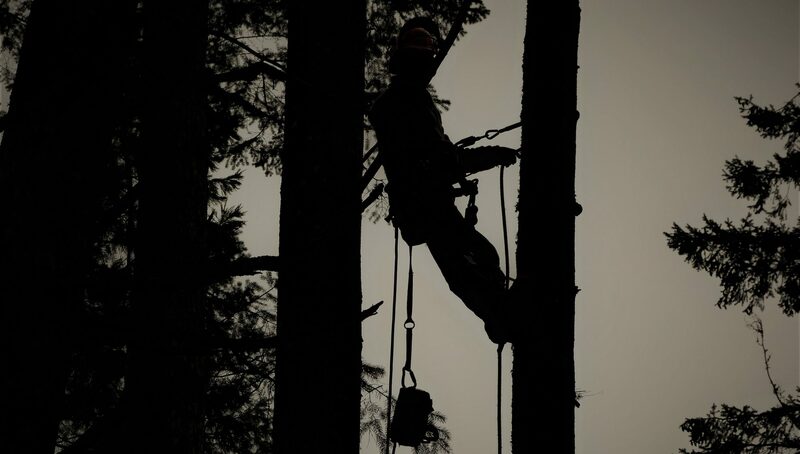 Trees that are dead and decaying add another element of risk to the job. Lean and direction of the tree. If the tree is leaning at a house or structure, as above. Clean up. How much clean up do you require, if any. How far does waste need to be physically moved to clean the site. All of the above factors will determine which tools and crew are required to complete the job. The aborist will analyze all of these factors and come up with a detailed removal plan, and thus a price quote. The late dormant season is the best time to prune most trees. There are some flowering trees that you would prune right after bloom. For most deciduous trees (lose leaves in the winter) late dormant is between late winter and early spring, prior to new growth. Conifers (evergreen) can be pruned any time. What do I do if trees are touching my power lines? If any vegetation is touching or within 3 meters (one car length) of the power lines on your property this can be dangerous and it is your responsibility to maintain the lines on your property. You need to call a Certified Utility Arborist (someone who is qualified to work within the proximity of the lines). Forty Oaks offers free consultations and we will recommend an appropriate course of action. Can I cut my neighbour’s overhanging tree? If your neighbour’s tree is overhanging your land, then you may remove overhanging branches and roots to your property line. However, any costs you incur are your costs. Also, you may not encroach on the neighbour’s property to trim the tree unless the overhanging limbs pose immediate and irreparable harm. If you have any concerns or your neighbour is non-cooperative with a threatening tree then call an arborist to come and make a report on the tree. Will spurs or spikes harm my tree? The recommendation is, research the level of climbing experience and knowledge before hiring a tree professional. Or, if you desire spur-less climbing, then request it ahead of time, but know that it may cost you more as it is more time consuming. A professional climber should always be equipped to perform spur-less climbing upon personal request of a home-owner or commercial customer.